Chen Sing is not only a great role model but an entertaining one, with his enthusiastic embrace of his newfound home, hardships and all. George Chiang was inspired to write The Railroad Adventures of Chen Sing after marveling at an elderly friend’s stories about his Chinese immigrant father. This lavishly illustrated chapter book for grade school readers is a good way to educate children—and adults—about the back-breaking and dangerous work and other obstacles that Chinese workers endured during the nineteenth-century construction of the transcontinental railroads. While the book is a work of historical fiction, it is based on the life of a real Chen Sing, an orphan who emigrated from southern China in the wake of floods and famine. In the book, he is small but strong and is able to survive the arduous two-month sea voyage and succeed at various jobs with the railway crew that others can not handle because of his determination and intelligence. He is also helped by his friendship with members of the Coast Salish people, who help him acclimate to the surprisingly cold winter. One particularly delightful chapter extols the simple joys of ice fishing, snowshoeing, snowball fights, and other winter pastimes that Chen Sing enjoys for the first time with a new friend. Chiang writes simply and effectively for younger readers and has an upbeat tone that continues throughout, even when his hero faces tragedy and danger. He relates instances of discrimination directly yet sensitively, providing several jumping-off points for further discussion of how railroad companies and indigenous people sparred over railroad routes, and why Chinese workers were not acknowledged in the Last Spike ceremonies commemorating completion of the railroad system. Jessica Warner’s plentiful digital illustrations are the perfect complement to this tale. Her simple, colorful artwork expertly evokes the expressions of the railroad workers and the ruggedness of the wilderness lands that line the tracks. Railroad track vignettes also nicely accent the demarcation of the chapters. While the book is factually accurate, it would help to have a short preamble to the book and perhaps a simple map explaining a few historical and geographical facts. For instance, the book notes at the outset that Chen Sing lived during the Ching Dynasty, a historical era which covered almost three hundred years. It is also unclear where in North America most of the action takes place. There is mention of landing on the coast and canoeing to a railroad camp near a gold mining camp; this and the presence of the Coast Salish tribe offer clues, but this could also cover a good chunk of the Pacific Northwest coast of the United States and Canada. 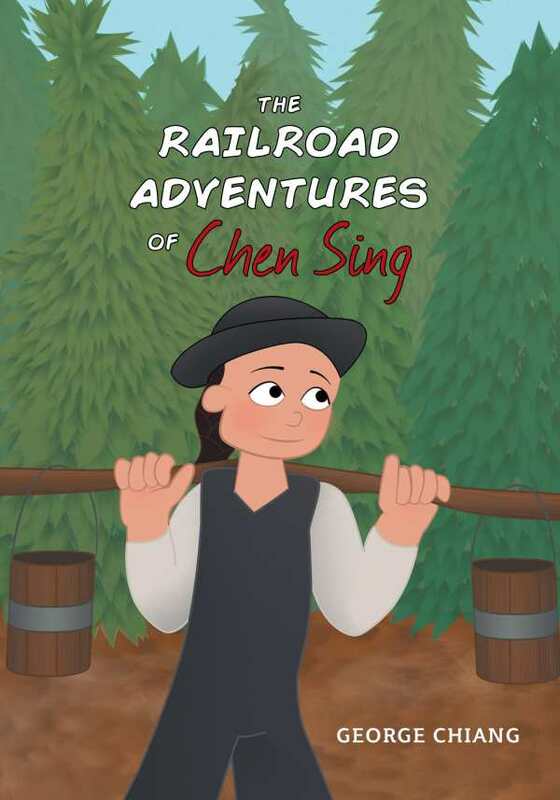 The Railroad Adventures of Chen Sing is not only a good introduction to an intriguing period of social history—particularly the relationships between Chinese workers and indigenous people—but it also provides important moral lessons about the value of drive, friendship, perseverance, and being true to oneself. Chen Sing is not only a great role model but an entertaining one, with his enthusiastic embrace of his newfound home, hardships and all.